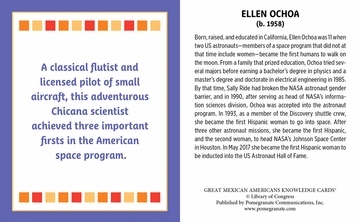 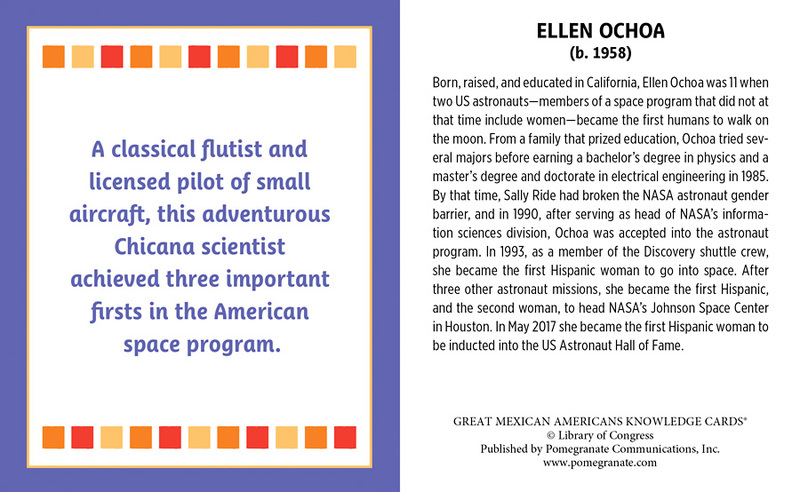 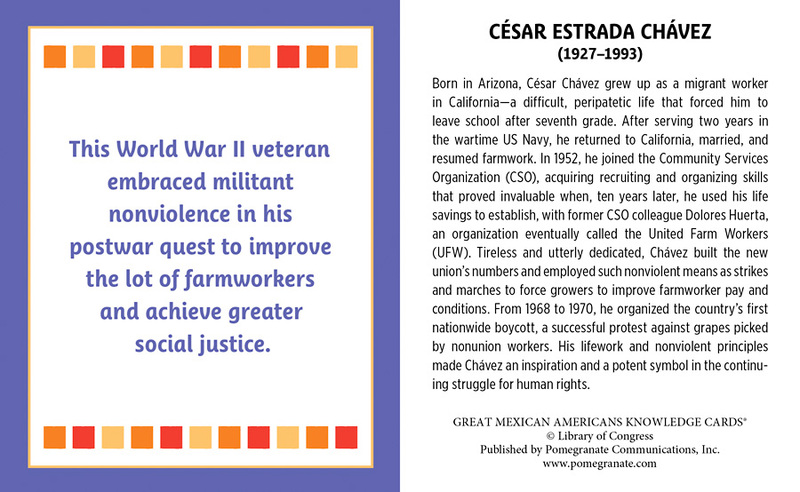 The contributions of Mexican Americans have often been left out of US history books. 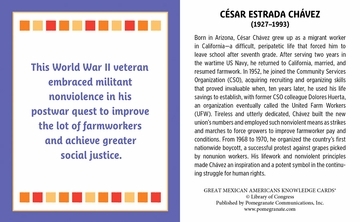 Labor organizer César Chávez made headlines, but do you know which activist was the first Mexican American to be nominated for the Nobel Prize in Literature? 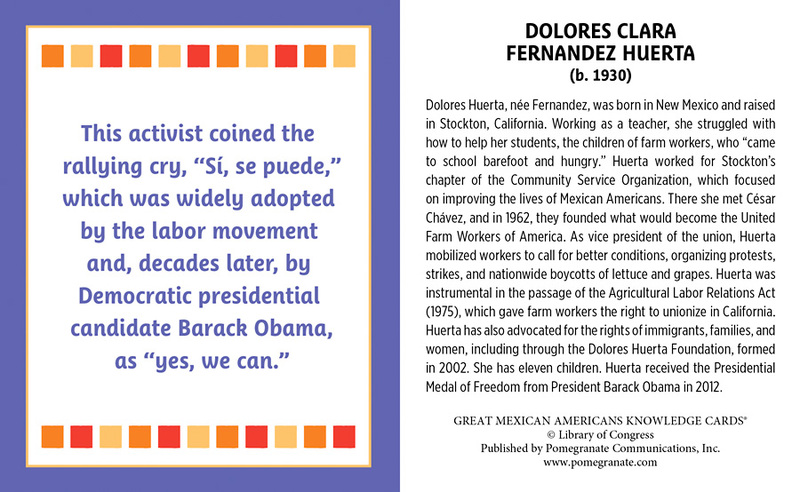 Or who coined the rallying cry “Sí, se puede”? 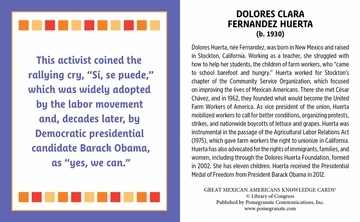 You may know singer-activist Joan Baez, but what about her inventor father? With this deck of Knowledge Cards, you can expand your awareness of the accomplishments of 48 professional athletes, war veterans, politicians, entertainers, entrepreneurs, and others. 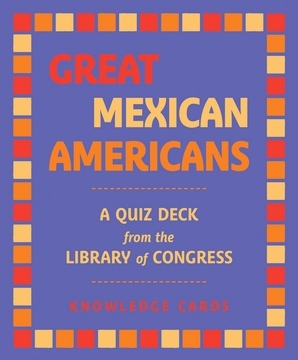 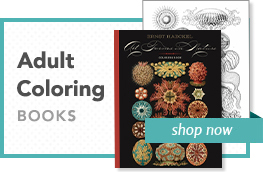 Test your knowledge by reading the clues on the front of each card, then look on the back to find out the person’s name and place in history in detailed, fact-packed biographies.